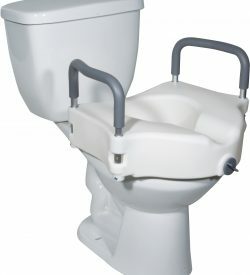 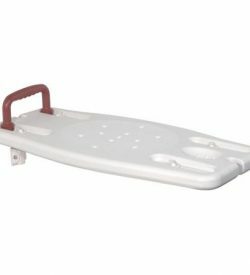 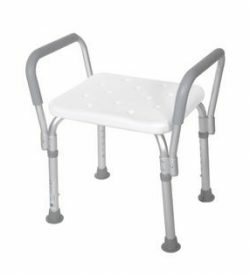 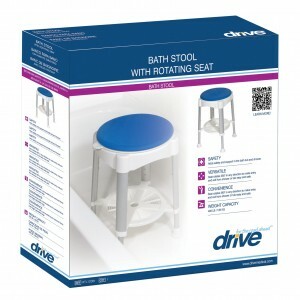 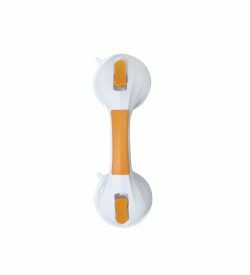 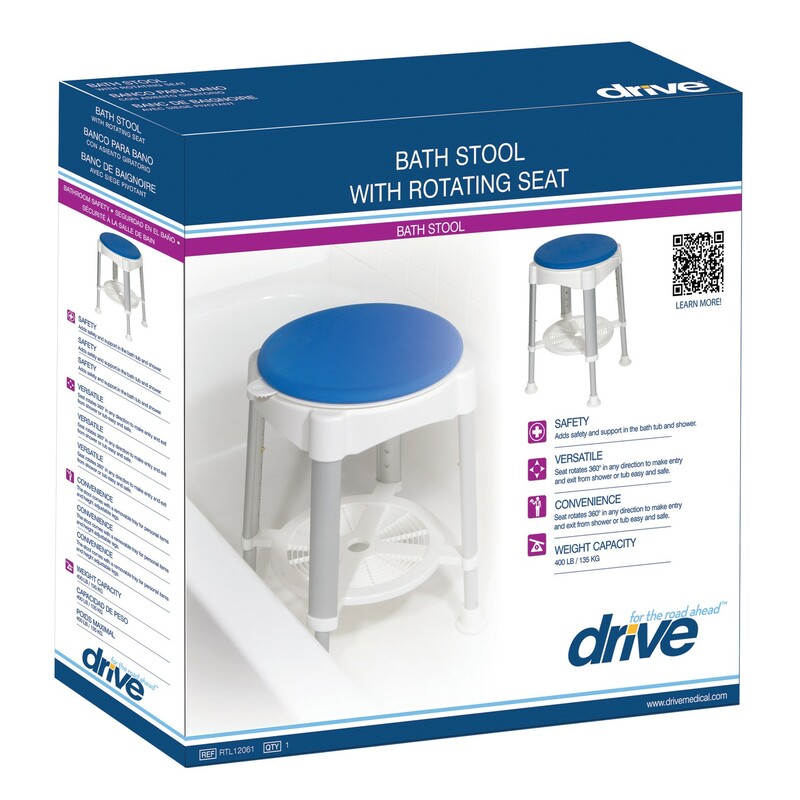 This rotating, padded shower stool reduces twisting and reaching while in the shower. 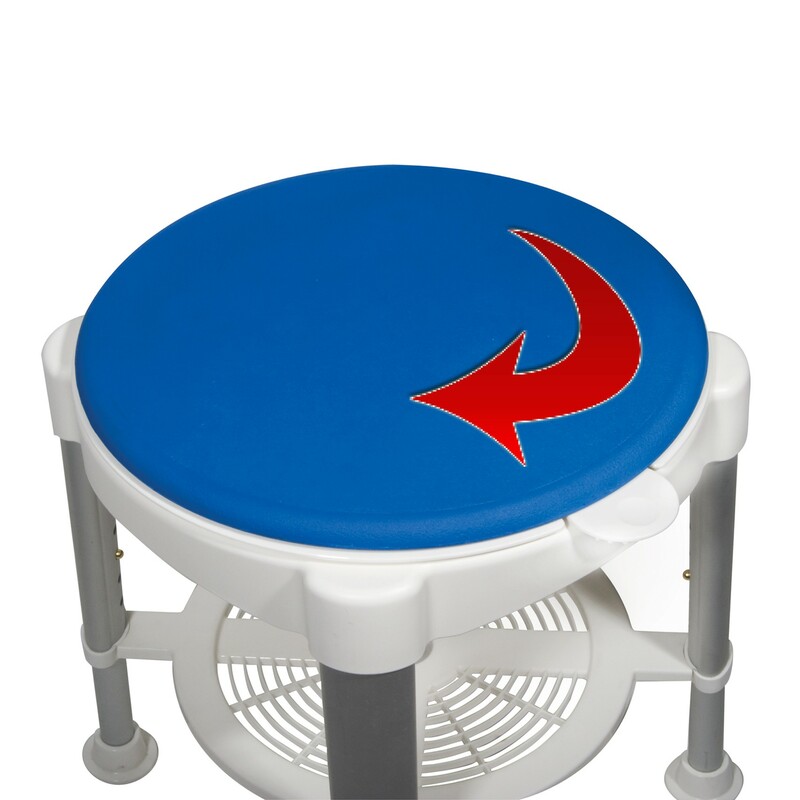 Seat rotates 360° and locks every 90°. 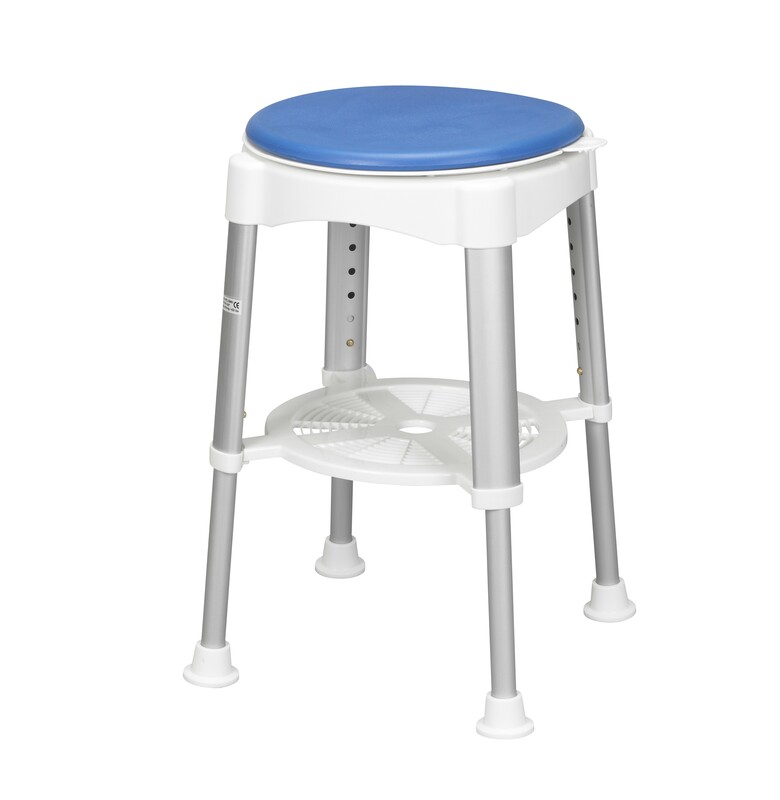 Seat height can be adjusted from 16″ to 23″, in 1″ increments.